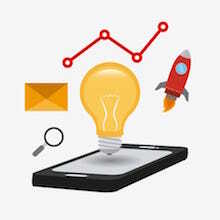 The Google Tag Manger (GTM) is designed to simplify the integration and configuration of Google Analytics and other analytical tools. 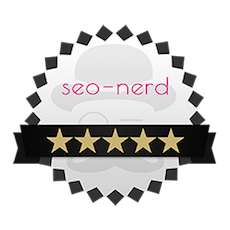 What the tool can do, for whom it is best suited and how to use it, the seo-nerd® explains here. With the Google Tag Manager, as the name already suggests, tags and code snippets can be managed easy and quickly, without working in the source code of a website. 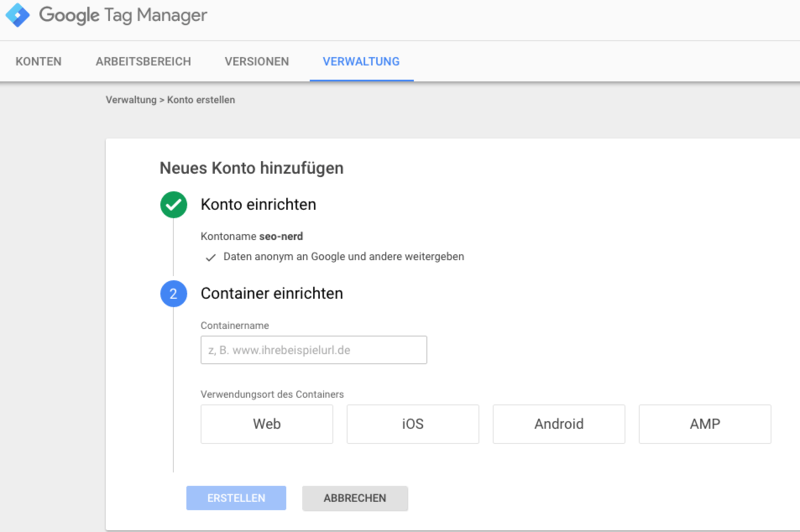 Thanks to the Google Tag Manager the so called container tag has to be implemented only once. 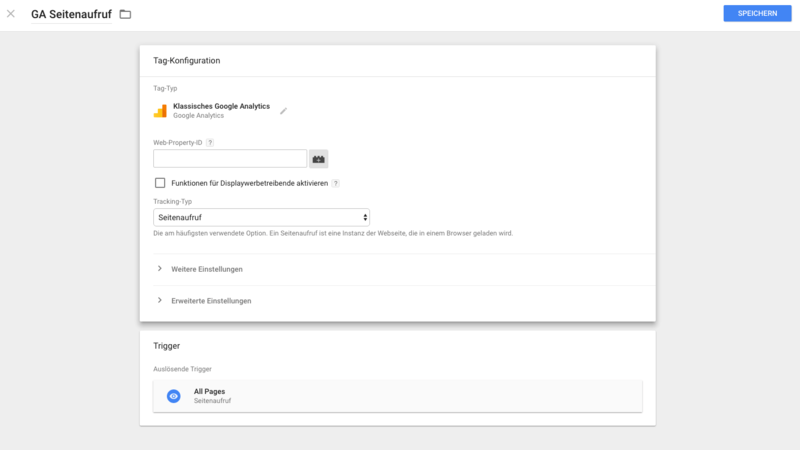 All further changes an implementations can from then on be done in the dashboard of the tag manager – without having to contact your programmer or an IT service every time.
. To stay in the above example, the trigger determines when the page impression is to be detected, for example, 5 seconds after the page is opened. files the URL of the page that was called. The data layer is an information storage, which transmits data to the GTM via Java script, in order to then be able to use it in the tags and triggers. 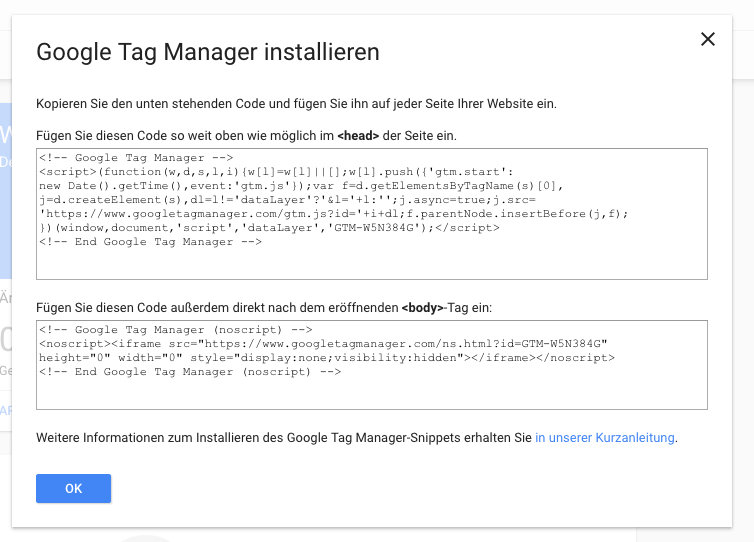 It is built into the source code of the site ahead of the Google Tag Manager. To set up the GTM you first need a Google Account. 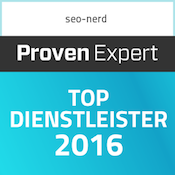 After that you can register to www.google.com/analytics/tag-manager/ anmelden. Afterwards you reach directly an input screen, with which you can add a new account. Here you create an account name; the name of your company is advisable. Now you name the first container. This could be the URL of your page. The names of the account and the container are only for your information and have no impact on the configuration. Afterwards you choose where it is used: Web, iOS, Android or AMP. Choose the tag type; e.g. Google Analytics, and give the new tag a distinct name, e. g. „GA page impressions“, because this tag is determined for Google Analytics (GA) and should track page impressions. Although the number of tags at the beginning is manageable, this will increase with the advancing work with the GTM. 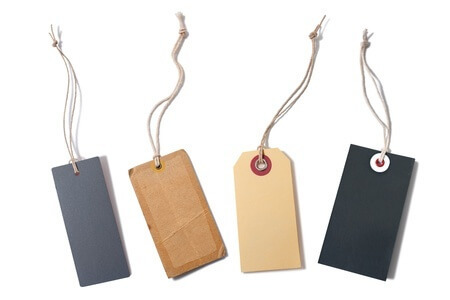 It is therefore advisable to label the tags as uniformly as possible. For Web Property ID, enter the tracking ID that you see in your Analytics account. Under “Tracking Type”, you specify what is to be recorded; In this case: page impressions. Then you can specify the trigger to arouse the tag, e.g. “All Pages”. Here, you can specify exceptions if necessary. By clicking „save“ your tag is now ready and just has to be published. No access: The container can not be viewed. Read: The user can view the container and the tags, triggers and variables contained in it, but can not make any changes to it. Edit: The user can create workspaces and make changes, but can not create or publish versions. Approve: The user can create versions and workspaces and make changes but not publish them. Publish: The user may add, edit, and delete tags, rules, and macros in the container as well as publish changes. All changes you did to tags, trigger or variables, can be tested comprehensively before you publish them. This places an overlay to your website and you can see which tag is triggered and which data are transmitted. This version is also available to other users to make it easier to identify improvements. The Google Tag Manager is promoted mainly with the fact, that with its help the effort of your IT department can be minimized. Once the tag container is built in the source code you as a marketer can manage and create tags flexibly. Many tags can be created just by filling out the pre-built forms in the dashboard. Because of the asynchronous loading of the tags the Google Tag Manager can shorten the loading time of websites. Slow tags can be loaded later and you can define when a tag should be triggered. BUT: The container tag has to be built in at the beginning of the body of a page. This means, when the page is loading all configurations are loaded, that you have chosen while creating the tag. In the GTM, you should never activate something that is not needed at all. Otherwise, the loading times are extended unnecessarily. An even shorter loading time and thus better performance can be achieved without the GTM, by simply implementing the tracking code in the footer of the page. BUT #2: A truly 100% viable solution for the trouble-free use of A / B testing tools with the GTM is not available. Tools such as Optimizely or Adobe Target require a synchronous loading of their scripts. Asynchronous loading of Google Tag Manager makes A / B tests impossible. The Google Tag Manager simplifies many functions and is set up quickly. The intuitive user interface makes it relatively easy to set up and manage accounts, containers, and tags. Keeping the Tag Manager well organized can quickly give you headaches. If you only have a website with few tags, this may not be a problem. 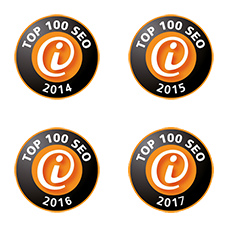 However, as soon as you manage multiple projects with subdomains and hundreds of tags, strict rules are required for the organization. A tracking concept is indispensable. If a user uses an adblocker that blocks the Tag Manager, this will block all the tracking tools that are controlled by it, even though they may not be affected by the Adblocker in particular. 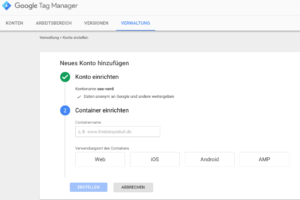 Google Tag Manager – yes or no? 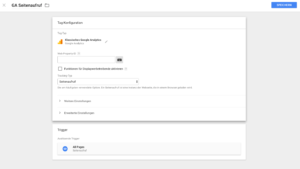 The Google Tag Manager and other tag management systems provide the ability to organize and manage tags through a Web platform. This makes them particularly attractive for marketers. Thus the IT department can be relieved. However, the use of tag management systems is not really useful for any company or website model. Switching to a tag management system is not as easy as it sounds. 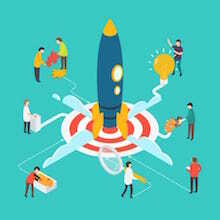 The main reason for the use of such a tool is often the speed at which changes can be made without waiting for long processing times by the IT department. A tag management system does not make you independent from the IT department. Because to avoid serious errors, only an ITler should have the right to publish new tags and check them beforehand. So before you switch to a tag management system like the Google Tag Manager, you should evaluate exactly whether the effort is really worth it. 1. 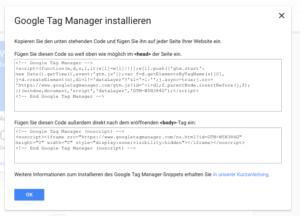 What is the Google Tag Manager? 11. Google Tag Manager – yes or no?